I decided to start this blast from the past segment to bring some of my old dolls back in the limelight and reminisce them good ol' days. 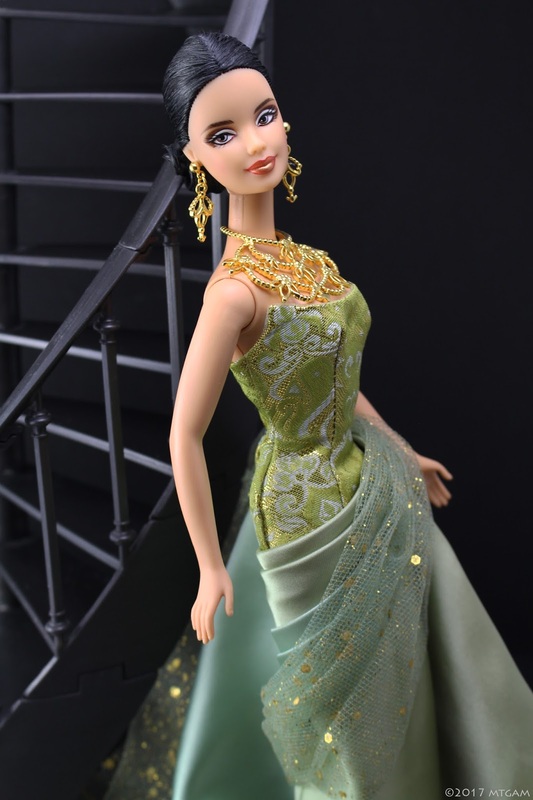 First up is Exotic Beauty Barbie. I chose her because she's never actually graced this blog even though I've had her close to the beginning of my doll collecting journey. 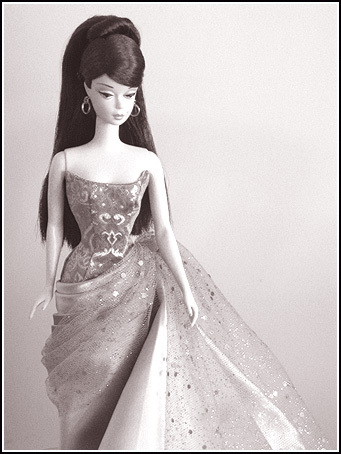 I got her at the very first local doll show I had ever attended, probably in 2004. I went there with a friend. I remember when we were paying the entrance fee and the mature lady at the desk gave us a weird look that almost said we didn't belong there. I thought that was odd. She didn't even hand us the free doll bag that she handed to everyone else. Of course my friend and I had no idea there were bags handed out until we got inside the dealers room and found just about everyone carrying it around... And then we were like, what the frigg??? No matter. I managed to snag this doll for a steal so it was still a good day. I probably would have left with more goodies if I could afford them. I still find this doll very appealing. She exudes class all around. And I love that necklace...back in the day when Barbie collector dolls wore metal jewelry. I also like the style of the dress. 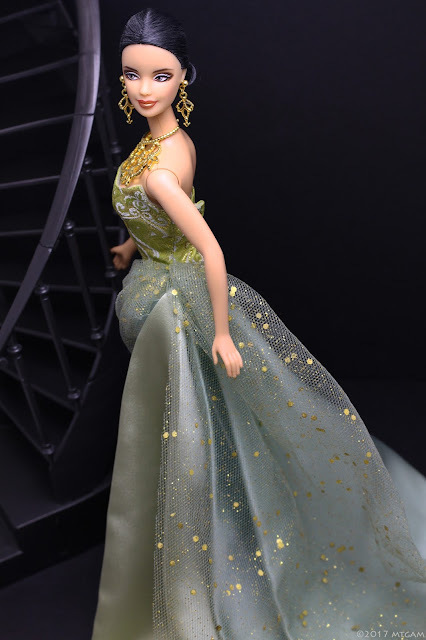 I do remember having to actually iron out the creases at the bottom of her gown because they were folded to fit in her doll box. The dress minus the creases displays beautifully. Exotic Beauty Barbie is lovely. Thanks for sharing her photos and your doll trip.